Naty was a sixteen year old orphan. One day she decided to look for a job and the Malcolm family employed her because they needed somebody to take care of their pet. Naty thought that their pet would be a normal pet, but it wasn’t. She nearly fainted when she found out that she had to take care of a dolphin! When she recovered she accepted the job. 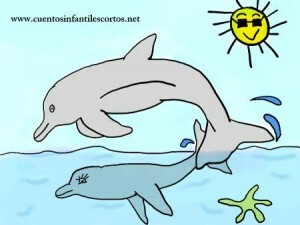 The first day of the job, Naty and the dolphin had lots of fun together. They became really close and Naty took care of the dolphin for the whole year and at the end of the year, the Malcolm family decided to adopt her and so Naty, the dolphin and her new family lived happily ever after.